March 12, 2012 by Perry Kountouriotis, The TM Group Inc. Comments Off on Simpler, Smarter Reporting with Microsoft Dynamics GP: Right Out-of-the-Box with 260 SQL Reports and 220 Excel Reports! Some companies think, “The more reports, the better.” We’re here to dispute this statement as it’s not the number of reports that’s important, it’s the value those reports bring to your business operations. We here at The TM Group are firm believers in simpler, smarter reporting. And this approach is made possible with Microsoft Dynamics® GP. Before diving into the reporting features of Microsoft Dynamics GP, it’s important to look at them from a role tailored view. After all, the information attainable in GP is only valuable if the user can leverage that information to benefit the company. SQL Reports- There are 260 SQL reports built into Microsoft Dynamics GP and these flow into the next level of users to help connect any information gaps that may happen between departments. SQL reports are accessible through an intuitive web tool so users can go on a website to view relevant information for each company in Microsoft Dynamics GP. There is access to reports that pertain to each module as well as KPI’s that you can see in business analyzer. You can also easily schedule reports to run at certain times of the day, week, month or year. For example, you can set up a cash requirements report to run every Monday and that report is then sent to your email automatically. If you’re like a lot of people, you’re in Microsoft Outlook all day, and getting these reports automatically sent to you can really streamline your daily tasks and keep you on track. Business Analyzer- This is a brand new dashboard tool within Microsoft Dynamics GP 2010 R2 and allows you to connect to SQL reports as well as view KPI reports. The tool is flexible so you can set up customized views to run refreshes when you want and need to see the information. The SQL reports built into Microsoft Dynamics GP seamlessly link to the business analyzer, so you’re able to see real-time snapshots of important business data. You have the ability to pick and choose what information is most important to you. For example, you can track your cash flow position in the morning, afternoon, and at night. This tool is not limited to Microsoft Dynamics GP information; you can build any external data into this tool. The business analyzer is also not limited to GP users. Even if you aren’t set up as a user, you can access the information you need. 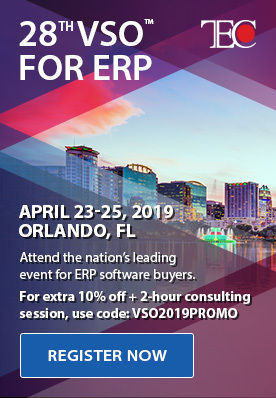 This makes it more affordable for your company to implement Microsoft Dynamics GP, while still achieving your ROI goal. 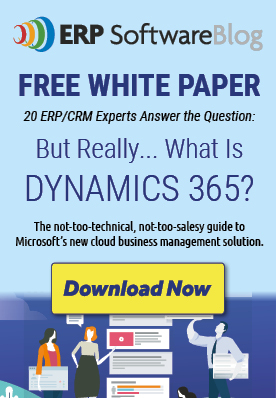 Similar to some executives, information users don’t always need full access to Microsoft Dynamics GP. Instead, they just need to pull information out of the system to do their jobs. There are 220 Excel reports built into Microsoft Dynamics GP that pull real-time data from GP into a readable, searchable, and workable Excel spreadsheet. The Excel Builder in Microsoft Dynamics GP also allows you to build more if you need a more customized report for some of your information users. Similar to Business Analyzer, you can also connect Excel to other SQL databases in case you need information that’s outside of Microsoft Dynamics GP. The Accounting department needs a little more functionality as the information they’re working with has a lot of moving parts. The Smartlist Builder in Microsoft Dynamics GP is a simple query tool for accounting to create reports and export those reports out to Excel. Smartlists are named, such as vendor maintenance, so that information is kept organized and gets categorized in the right financial bucket. These reports are very simple to create as well as organize. And again, you’re not limited just to GP information. Going the simpler, yet smarter way to reporting for your business is a great approach if you’re looking to keep costs down while staying effective. What’s even greater is you’re never limited to what you can do within Microsoft Dynamics GP. If you need to build more reports or connect with other systems to bring in more data, you can! No matter what your role, you can create your own reports or easily change existing reports to tailor to your information needs. To learn more about simpler and smarter reporting in Microsoft Dynamics GP, make sure to attend our webinar on March 13th. And as always, let us know if you have any questions along the way. Posted in About Microsoft Dynamics GP, ERP Software Information, Finance Department Tips & Tricks, Financial Reporting, Microsoft Dynamics GP 2010 | Comments Off on Simpler, Smarter Reporting with Microsoft Dynamics GP: Right Out-of-the-Box with 260 SQL Reports and 220 Excel Reports!